Rosie Batty 2017, by Nikki Toole, type C photograph,National Portrait Gallery. 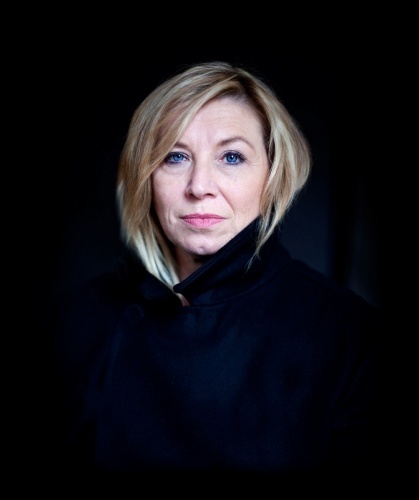 DOMESTIC violence campaigner and 2015 Australian of the Year, Rosie Batty is the subject of the most recent portrait commission at the National Portrait Gallery. Ms Batty was on hand this morning with Scottish-born photographic portraitist Nikki Toole to see the work welcomed into the National Portrait Gallery by its director, Angus Trumble. The portrait shows Batty looking directly down the lens of the camera against a black backdrop. Her face draws the viewers focus, portraying a look of determination and resilience. Trumble said he thought Batty was an admirable addition to the collection based on her outstanding contributions to Australian society. “Rosie Batty has campaigned tirelessly for cultural and systemic changes in the way that domestic violence is viewed and treated within Australian society,” said Trumble. Ms Batty became well known to the Australian public in 2014, when her 11-year-old son Luke was murdered by his father, her former husband, on an oval after cricket practice. Soon after, she made a dignified public statement that captivated the nation. In 2015, when she became Australian of the Year, her memoir, “A Mother’s Story” was published. Ms Toole was approached to undertake the portrait of Rosie Batty in July 2017. This is her second portrait in the gallery’s collection by Toole but was no less significant, she said. “Rosie has a calm strength that I feel came through during our shoot and I have so much admiration for the work that she does to help other victims of domestic violence,” she said. The portrait will be on display for visitors to see at the National Portrait Gallery in Canberra from today, January 24.